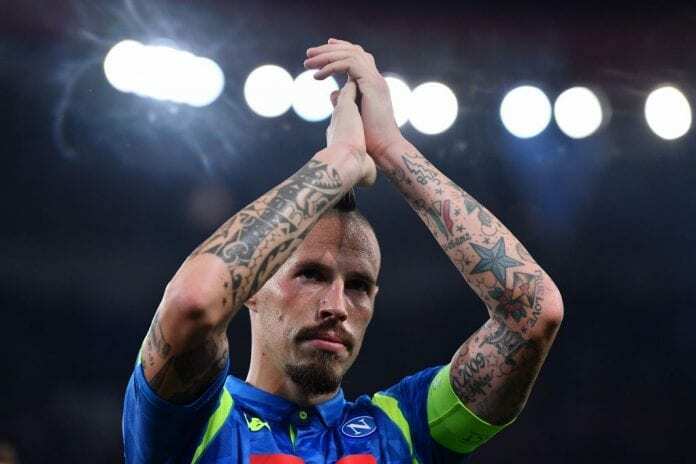 Marek Hamsik may have played his last game for Napoli after Paolo Cannavaro confirmed they’ll be reunited in China when the midfielder signs for Dalian Yifang. The Napoli skipper who became a cult hero at the club gifted his final Napoli jersey to Paolo Cannavaro. It seems the Slovakian skipper has played his 520th and final match, an all-time club record when he was substituted in Saturday’s 3-0 win over Sampdoria. That special last shirt has a new home, as confirmed by his ex-teammate Paolo Cannavaro via Football Italia. Cannavaro who is the younger brother of Fabio, the World Cup-winning skipper is already in China, working as his assistant manager at Guangzhou Evergrande. 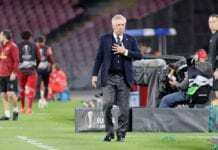 Hamsik was surplus to requirements under Carlo Ancelotti and the player deemed it fit to look for playing time elsewhere. Napoli are currently 9 points adrift leaders Juventus in the Serie A after the club’s 3-0 triumph over Sampdoria. Next articleWill Santiago Solari follow Zidane’s footsteps?